La Distesa offers more than just a comfortable and relaxing stay. 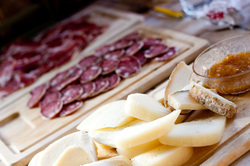 We offer you an opportunity to immerse yourself in our Italian traditions and lifestyle. 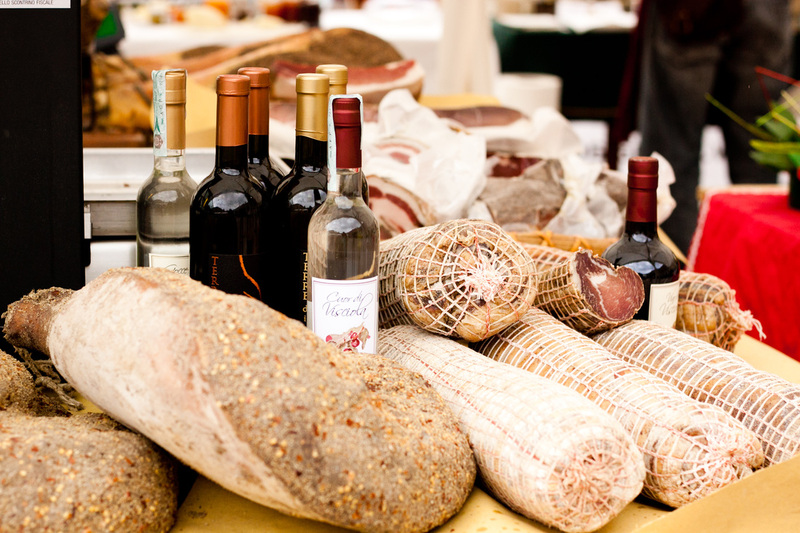 Most importantly to Italian culture is our food and wine. In our "Sala Degustazione" (Tasting Room) you can experience our naturally produced wine, paired with fresh locally produced food. This classic osteria offers you a place to relax during your stay. After a long day of site seeing, join us for a wine tasting course. 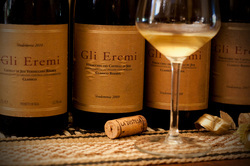 Surrounded by the best bottles of years past, you will learn about the historical meaningfulness of producing wine in Italy and taste what the Marche region has to offer. From aged cheeses, to the best cured meats, to the fresh fruits and vegetables from our garden, you'll find a multitude of delectable bites that will please any pallet. Explore our naturally produced wines the way nature had intended them to be. Without conventional herbicides, pesticides, chemical or physical manipulation, you'll taste one of the most well loved traditions of Italy. Containing organic and biodynamically grown grapes that are handpicked from our vineyard, what you see in your glass was created naturally. Join us for a tour of the vineyard and cellar and see what generations of wine making has to offer.